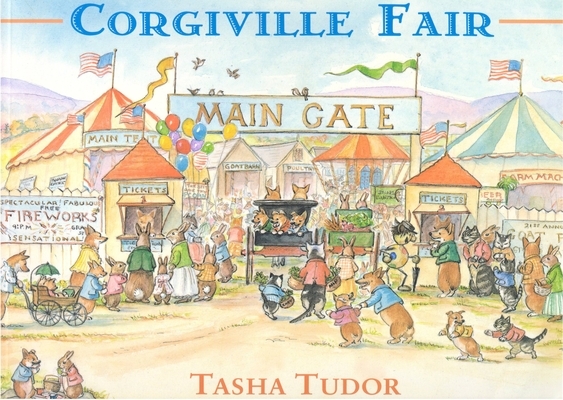 In Corgiville, as in many small towns all over America, the biggest event of the year is the fair. And the most exciting thing at the Corgiville Fair is the goat race! Caleb Corgi has spent moths training his goat, Josephine, for the big event. But Edgar Tomcat's goat is fast, too, and Caleb knows that Edgar is not above indulging in some dirty tricks in order to win. The sights, smells, and all the fun and excitement of a typical small-town fair are captured with humor and affection in Tasha' Tudor's text and marvelously detailed watercolor paintings. Tasha Tudor is among the most prolific and revered illustrators of all time. She has written, illustrated, or been the subject of more than ninety books during a career that has spanned nearly three quarters of a century. While many of Tasha's books are published for children, they have found a welcoming audience among adults as well. Many have been inspired by Tasha's unique vision of a life lived in the style of the 1830s.